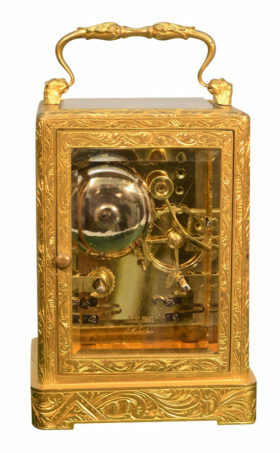 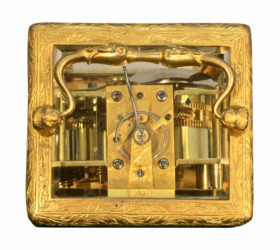 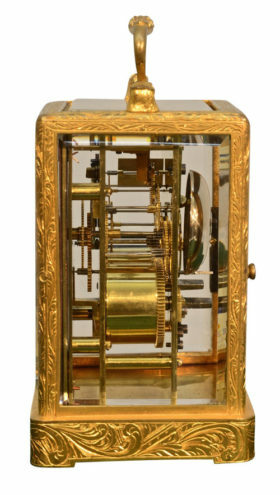 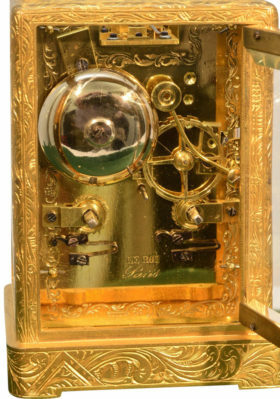 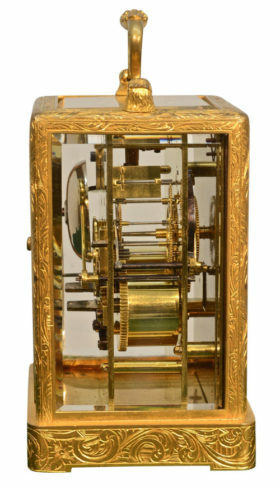 This early French one piece case carriage clock features delicate engravings and a porcelain dial. 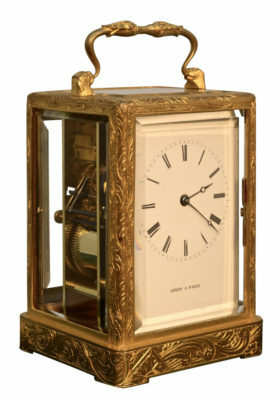 This clock houses an 8 day bell strike movement. 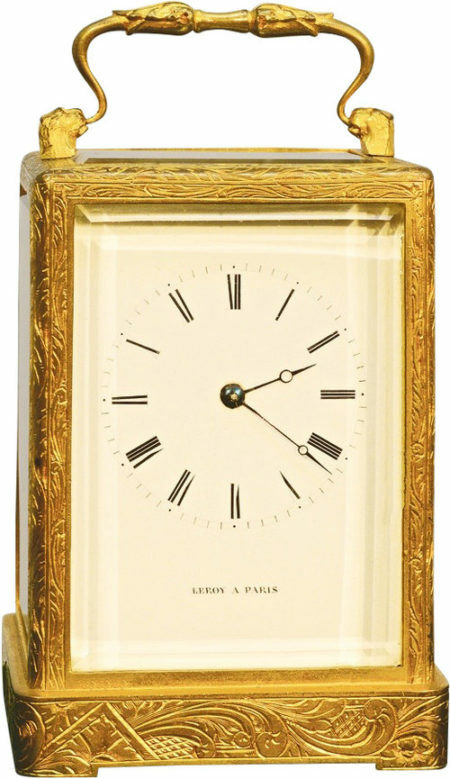 Signed Leroy A, Paris.